Things haven’t changed much since Clement C. Moore penned that line nearly 200 years ago. Children still long for treats – especially during the holidays when sweets seem to beckon us at every turn. How can you survive the holidays when your child has diabetes and the world abounds with carbohydrate-laden foods – from candy canes and gingerbread houses to gum drops and fruitcake? Serve your child a light, healthy snack a couple hours before a party or large holiday meal. 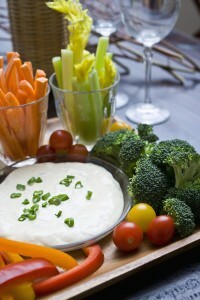 Ideas include vegetable soup, raw vegetables with dip, fruit or a handful of nuts. This will help curb their hunger and enable them to make better food choices. If attending a party or family holiday dinner, take along one of your child’s favorite low-carb dishes. When making cakes, sweet breads or other baked goods, substitute Splenda for half the sugar. 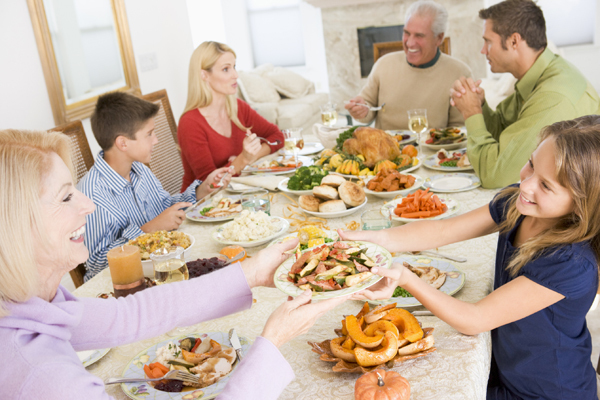 Try to downplay the importance of food during the holidays. Instead, place the emphasis on family interactions and activities. Make your own healthy food choices. Children tend to model themselves after their parents and older siblings. If you have other children, be conscious of the feelings of your child with diabetes. In other words, do not let the other children lick candy canes while the child with diabetes licks salt off a celery stalk. Keep baked goods and unhealthy foods tucked away in an upper cupboard – or better yet – avoid keeping them in the house. Do not display tempting dishes of candy, Christmas cookies or other treats. Enjoy physical activities. Rather than watching TV or playing video games, bundle up and get outside for a family walk or an afternoon of sledding (if there is snow). As always, follow the doctor’s recommendations regarding medications, and make sure your child with diabetes eats the correct balance of carbohydrates and other foods. Janet Haas is a registered nurse, certified diabetes educator and diabetes program coordinator for Akron Children’s Center for Diabetes and Endocrinology.